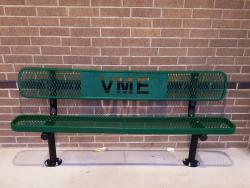 Look for our new VME Benches in the front of our school and in our courtyard. . . .
Our AR Program is designed for all students in grades Kinder-5th. . . .